The Jury thought that the Kuzo project was the clear winner. The Jury liked the detail of the design process, including the design philosophy and drivers, and the team’s thinking about part assembly and manufacturing. Also we liked very much the marketing-ability and relevance to society and consumers. “Be a Kuzo-kid” is an appealing slogan. 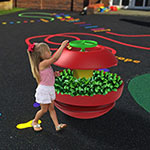 We definitely see potential for commercialization, with the Kuzo composter bringing a relevant sustainability experience to small kids. The Alliance is very happy with the number of projects we received from all over Europe. Speaking on behalf of the Jury, we were impressed with the great ideas the student teams have generated. The Jury has been evaluating all projects for Creativity, End-user functionality, feasibility in SMC BMC, Marketing-ability and use of SMC BMC performance. 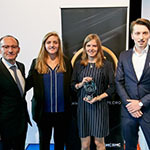 The first prize is 10,000 € but we also invite now all teams to work with our people to further improve product design and investigate commercialization. Thanks to all for this success on this 1st edition. A combination of street furniture: bench, bike rack, trash can, info board. 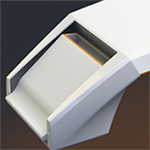 Plus: good design/ preparation, using the benefits of SMC, stylish design, easy cleaning because of radius. 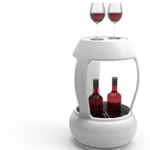 Plus: nice concept, good idea, fun project, good thinking about use/ ergonomics, good personalization and market-ability, making use of SMC capabilities. 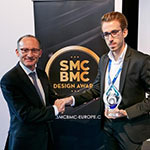 The SMC BMC DESIGN AWARD 2017 is the 1st international Design Competition, organized by the EUROPEAN ALLIANCE for SMC BMC recognizing and promoting design excellence across a wide array of industries and disciplines conducted annually by students Designers or Young professionals (less than 3 years of experience) using advanced materials in the sector of SMC and BMC. The SMC BMC DESIGN AWARD are intended to reinforce that SMC and BMC are innovative, versatile, cost effective and safe materials, used in products that make significant beneficial contributions to individual consumers and society. Innovations entered into the SMC BMC DESIGN AWARD shall be judged by an independent panel of expert Jury. 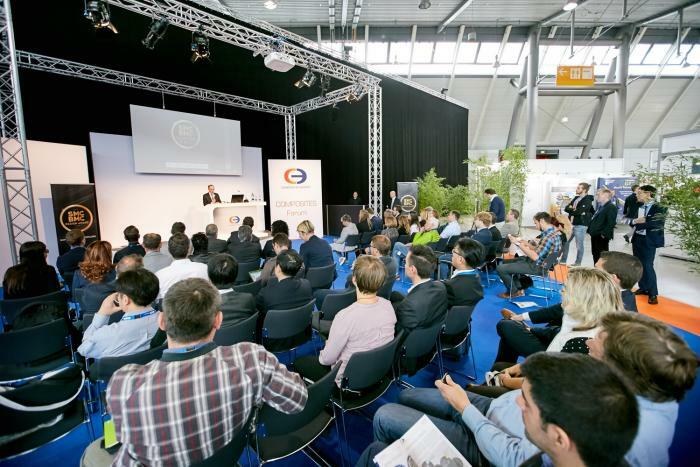 The SMC BMC DESIGN AWARD offers entrants an opportunity to promote their SMC BMC related innovation. 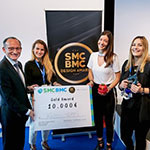 The SMC BMC DESIGN AWARD is designed to boost innovation by providing winners with support to fund research and development, marketing studies or collaboration with universities or research institutes to help bring their innovations to market.